Powell’s Books, Portland’s City of Books, asked me to write a little something on their blog. 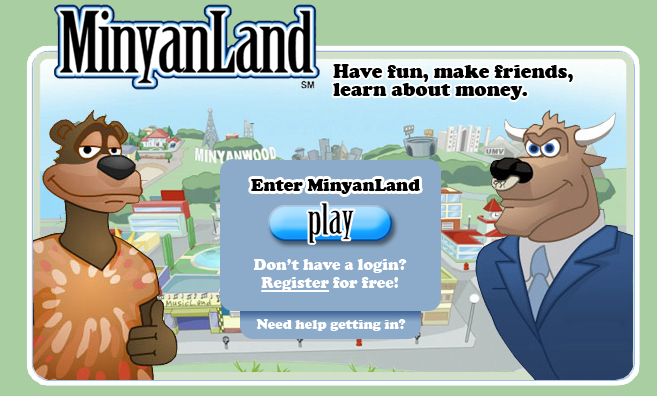 The characters of Rapacia: The Second Circle of Heck can be found within the virtual moneyopolis of MinyanLand, the online home of Hoofy the Bull and Boo the Bear (get it? A bear and bull market?). 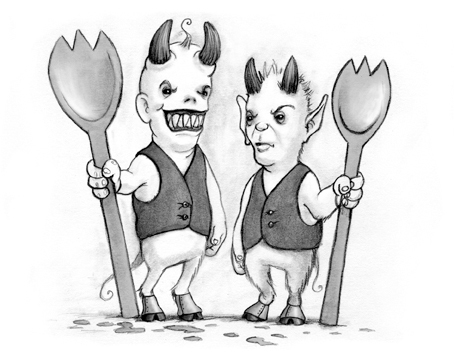 It’s a cool little community where you get to play games and make friends, while you learn about earning, saving, spending and giving.The Rapacia Hunt involves Lord Byron, once a self-obsessed poet and now a self-obsessed demon turned inside out. 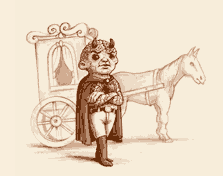 This yuck demon is running amuck in MinyanLand and if you solve the riddle and follow the clues, he’s yours to abuse! …is out today! Buy a copy and make a statement. Buy several copies and make several statements, hopefully statements that positively affect my bank statement. Actually, as every author knows: you don’t write for the money. You write to rub your success in the faces of your graduating class. Oh, and to engage and inspire your readers. That too. In any case, I hope you like Rapacia. Heck was just the beginning: now the series really gets going! Adding Rapacia to the ever-growing Heck library…OK, just two now, but eventually more and more and way too much. …weird cool, but still weird. 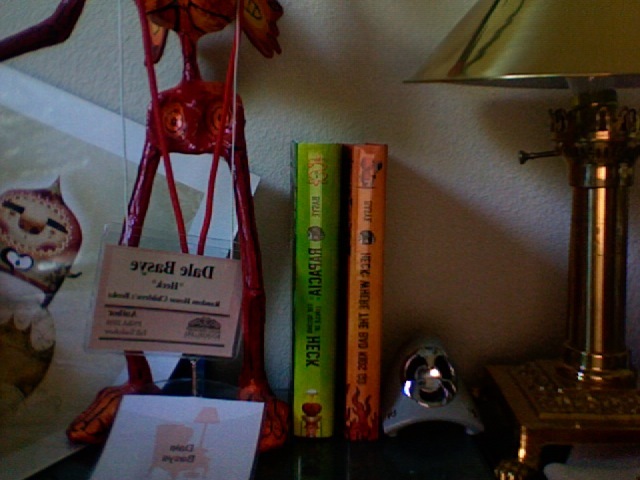 I just got my big, beautiful box of fresh Rapacia: The Second Circle of Heck books in the mail, saw Bob Dob’s freakin’ gorgeous cover for the next book, Blimpo: The Third Circle of Heck, and just turned in my first draft of Fibble: The Fourth Circle of Heck, which will be out Spring/Summer 2011! It’s like I’m living three lives simultaneously. And, you would think—after toiling several months over Fibble—I’d take a moment to relax. But no. I was at the dentist, and as he was trying to cram as much steel, cardboard, and whatever he had strewn around his office into my mouth, I started thinking about all these cool ideas for Snivel: The Fifth Circle of Heck. Geez…brain, give me a break! Oh well…it’s time to dress my dogs in their little dinner jackets. We like a formal dinner around here. 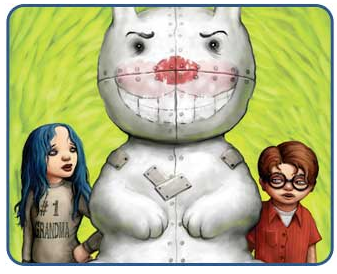 You just finished reading Heck: Where the Bad Kids Go, closed the cover firmly yet without enough force to damage its beautiful binding, and were besieged by a swarm of questions. What happened to Marlo? Will Milton rescue her? Why would anyone release such a horrible, horrible book? What’s that weird smell? 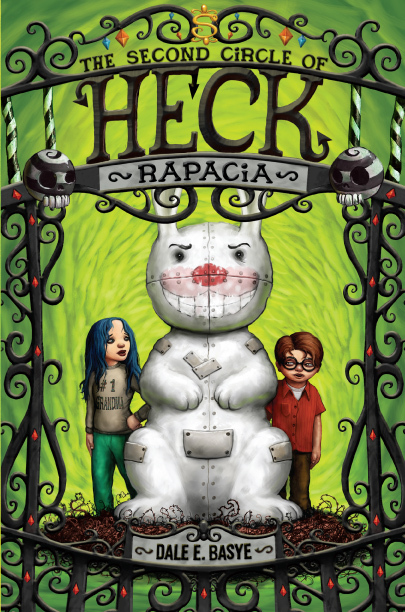 Yes, it’s Rapacia: The Second Circle of Heck! Coming to a bookstore near you, Tuesday, July 28th! Interview with the Multnomah County Library! I did an interview with Cathy “Happy” Camper of the Multnomah County Library and thought I would share it with all of you good people, as well as the rest of you. It’s really interesting: Cathy contacts all sorts of cool Portland authors (and me, too) and invited them to drop by her office and chat with her digital recorder going. She then elegantly turns these into something listenable, that library visitors can access as they search for books. It’s a fabulous way to get behind your favorite books. Enjoy!